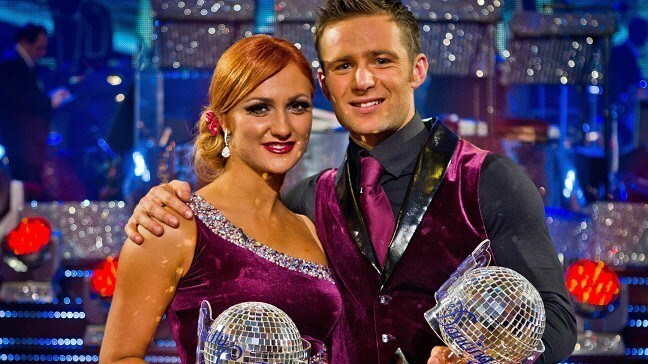 Around 12 million people tuned in to see the McFly star triumph on the BBC's ballroom show. He beat Chelsee Healey and Jason Donovan in the dance contest's final at the Tower Ballroom in Blackpool. Harry said he had been "very nervous" about taking part in the show but came to love his time on the dancefloor. He told BBC Breakfast: "I thought I'd prefer the Latin and the more uptempo ones but I fell in love with the ballroom ones, the slower ones. "The Viennese Waltz and the American Smooth for me were my favourite, the slow romantic ones." Pigeon-toed Harry had to go through a "painful" training regime every day to cope with the physical demands of the show. He said: "We spent hours every morning stretching my feet. It was quite a painful experience." His dance partner, Aliona Vilani, admitted she was not sure how seriously Harry would take the show when she first met him, but was surprised by his dedication. She said: "He's the most serious young man I've ever met. We didn't have a day off in four months since the day we started." Harry, who will take part in the Strictly tour next year, said he would give "100% commitment" to McFly who are also touring in 2012, adding: "But who knows? I'd like to think I someday will get dancing again."